As the eruption has stopped now for more than a week we shut down the forecasting system (25.may). It will be started again whenever there are new emissions from the volcano. 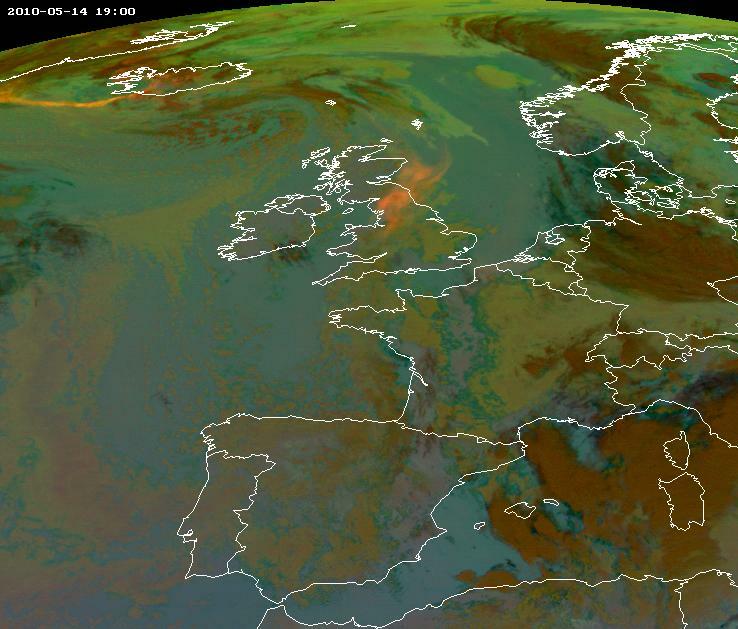 The volcanic ash is also visible in the SEVIRI ash product originating from METEOSAT 9. 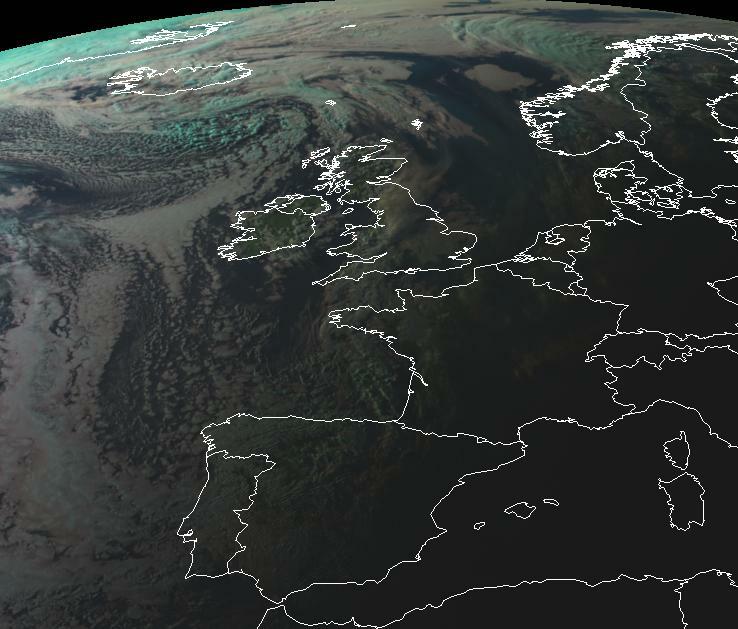 MODIS ash retrievals show the volcanic ash as it is transported westward towards Europe during the first days after the eruption, and later on southward from the volcano. See more figures here. 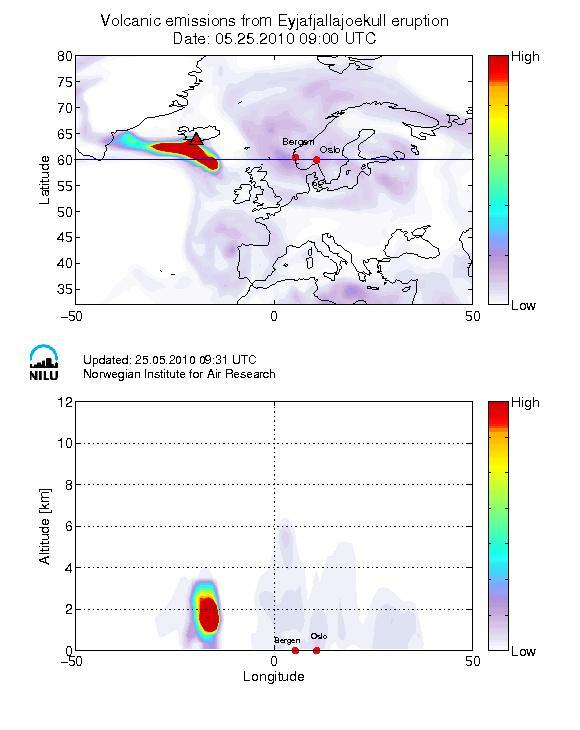 Amounts of sulfur dioxide (SO2) are also emitted by the Eyjafjalla eruption. IASI SO2 alerts can be found here.